We want to encourage, empower, and inspire you to create awesome in the world. How can you do that at the library? 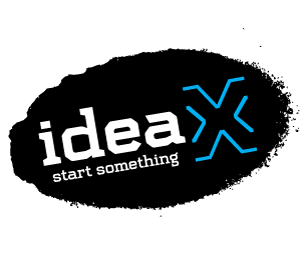 With ideaX programs and tools, you can learn new skills, whether it's creating electronic circuits, making a talking, moving robot, crafting a structure with a 3D pen, or mixing up a beat for an original song. Attend a program at one of our 48 libraries. Most of the ideaX tools are portable and shared between our library branches. That means you might find any of our available programs near you! Check out our current program list. If you don't see anything in your area yet, stay tuned, new events are added throughout the year. Visit the Bellevue Library ideaX Makerspace. This dedicated space on the first floor of the Bellevue Library is a place where you can learn, create, and collaborate. It’s home to two 3D printers, a laser cutter, electronic circuit supplies, an Arduino maker kit, and more. Learn more about the space, including workshops and drop-in times. Get inspired. We love to share what people in the community have created using the ideaX tools and their imaginations. Check out our Instagram for colorful photos and videos of projects. Thanks to the King County Library System Foundation for supporting this project.